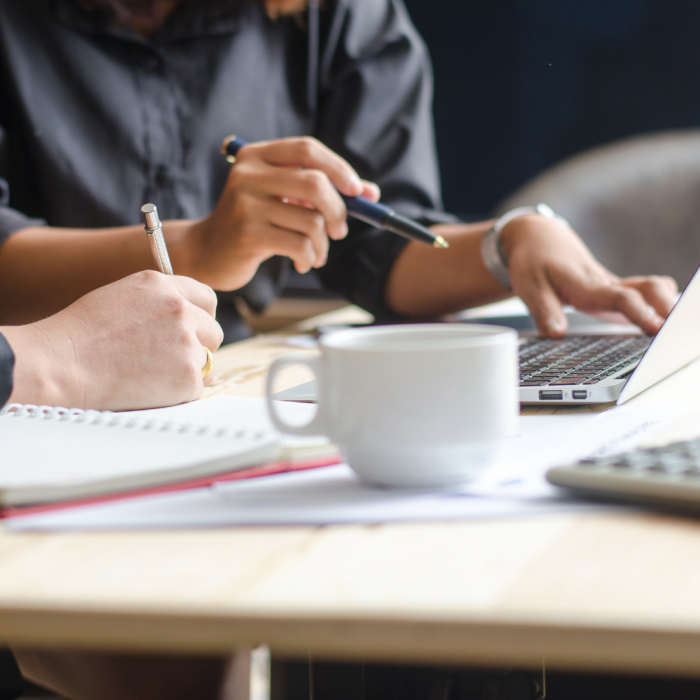 Wellbeing has become something of a buzzword recently with the over-glorification of being ‘busy’ and the stresses of this ever-connected lifestyle. But what exactly IS wellbeing? And what does it mean to be happy? Essentially, those are the big questions and probably the ones you are here to answer. It’s not uncommon for people to admit they’re not entirely sure what happiness really means for them or exactly how to find it. Most people are consistently searching for happiness in buying new things or put the fate of their happiness in other people or events. This chasing of an ever-changing end-game leaves us feeling unfulfilled and really rather exhausted. This is where the science of happiness – Positive Psychology can come to rescue. Positive Psychology is the study of human flourishing. It looks to discover and enhance the best within you to give you the tools to thrive in life. To me, wellbeing is about creating the best environment and conditions for you to thrive – and this all comes from within you. 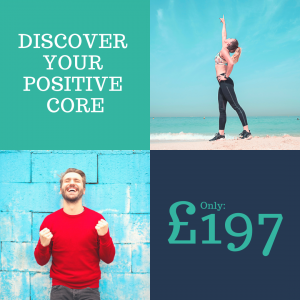 I can help you find your ‘positive core’ and give you the tools to face those challenging moments in life with greater oomph. Whereas many wellbeing programmes will focus on treating ill-mental health or focus on trying to improve weakness or the negative, my approach is to identify and discuss what energises you – both from within your character and what nourishes you – we then work with these elements to tackle solutions with energy rather than trying to ‘fix’ problems. 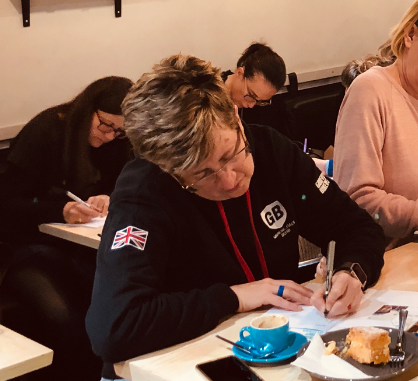 There are many ways to work with me, on a one2one basis which combines a bit of coaching, mentoring and training, or by attending one of my open workshops. I’ll also be releasing some self-directed programmes later in the year. To book a FREE chemistry session with me, click the link below. This is a FREE 30 min video/voice call to discuss your individual needs and for us both to see if the chemistry works well together. I can suggest one of my ‘off the shelf’ One2One products or we can plan individual coaching/mentoring/training sessions depending on what you’d like to achieve. 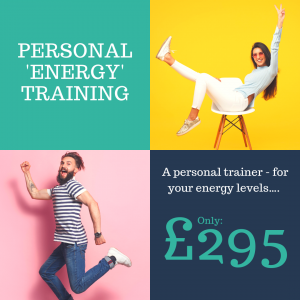 My One2One coaching and training programmes are listed below and are ideal if the outcomes fit exactly what you’re looking for, but if you’re a little unsure on how and where you need to support to feel more energised in daily life – then private, bespoke support is the best option. 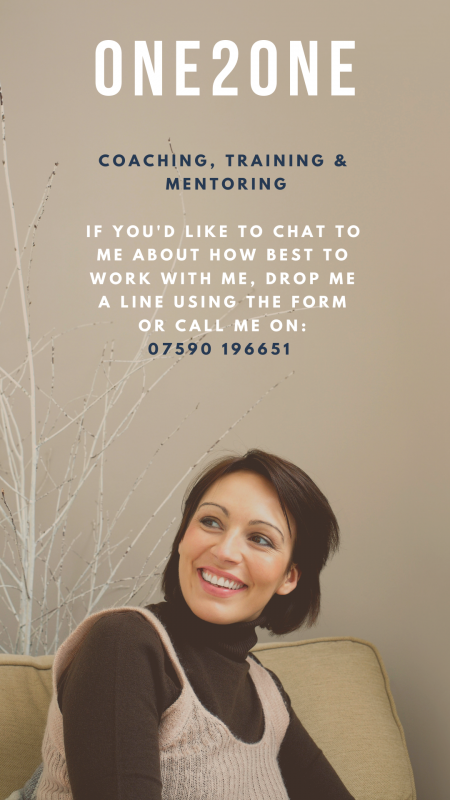 We’ll always start with a chemistry session to make sure I am the right person to support your needs and your bespoke programme will be a mix of 1-hour private coaching sessions, guided self-discovery exercises and email/chat support between sessions. Prices start from £65 per hour or £325 per month. Please take the time to fill in the form if you’d like to get in touch. 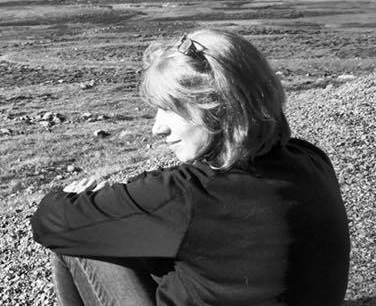 Do you want to receive my general newsletter? "My head is still buzzing full of ideas and confidence. Now to turn this into a positive habit!" 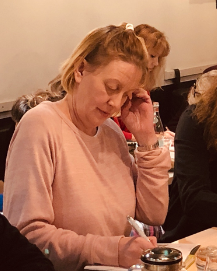 "Your workshop has inspired me to be more positive on a regular basis and I now understand that I need to try hard (train myself) to do this!"